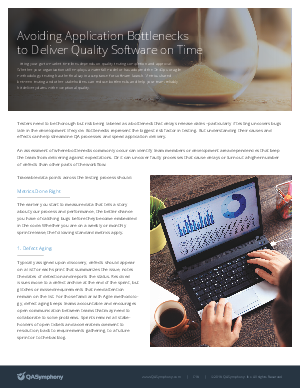 Hitting your go-to-market timelines depends on quality testing completion and approval. Whether your organization still employs a waterfall model or has adopted the DevOps or agile methodology, testing has the final say in acceptance for software launch. Metrics shared between testing and other stakeholders can reduce bottlenecks and help your team reliably hit delivery dates with exceptional quality.